The summer stretched out before me as a smorgasbord of opportunity and I intended to feast! Work-life balance is something to strive for and it seems I can only do so with polar opposites. Now but a fading memory, I console myself with this pale reflection of what was ultimately a wonderful and therapeutic experience. Time is precious; a maxim I am acutely aware of, yet the sense of pressure and imperative achievement ingrained in me, perhaps conditioned by my working environment, nearly led me to miss the moment altogether. 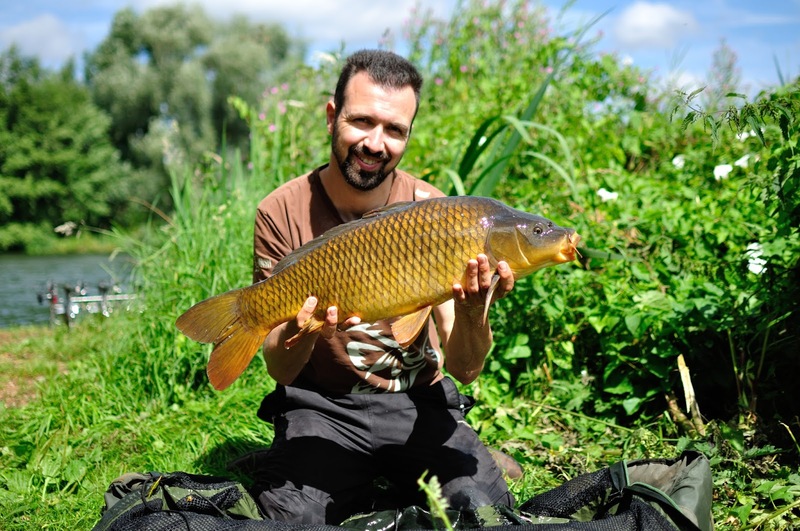 It is easy to mistake the objective of angling for catching fish. 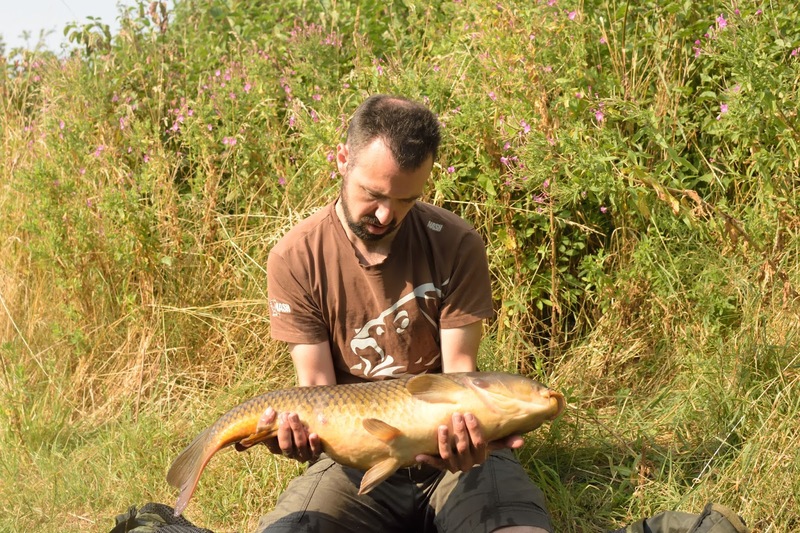 Whilst this is ones occupation on the bank and a helpful focus for those who have high ambitions for their fishing which for me seems not to be possible, it is merely the tip of the iceberg. However, at the beginning of my summer I saw a short window of opportunity in which to meet a target and dutifully became increasingly stressed about the notion of failure. The thing about stress is it impedes performance and for the first two days of fishing it clearly impacted every aspect of mine. Such a commotion was made by errors owing to hasty actions. I felt despondent as I understood the consequences but of course this only added to the snowball effect causing something of an avalanche. 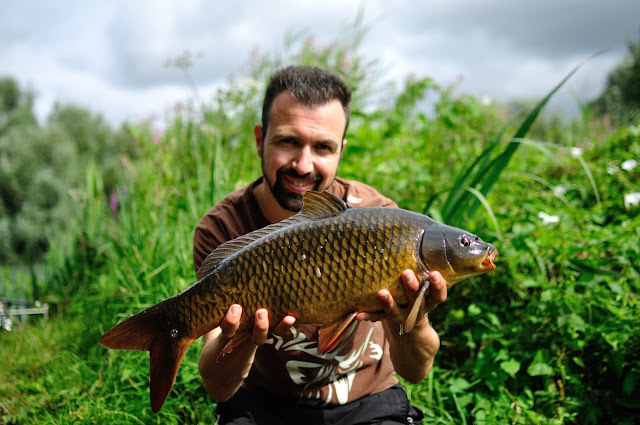 Phone calls with my wife helped me to put things in perspective as did some sentiments from Kevin Parr's book 'Rivers Run' which I read whilst fishing, helping me to realise that 'the moments between bites meant more than the bites themselves'. Eventually I entered a state of peace, began to appreciate my surroundings and accepted things at face value. 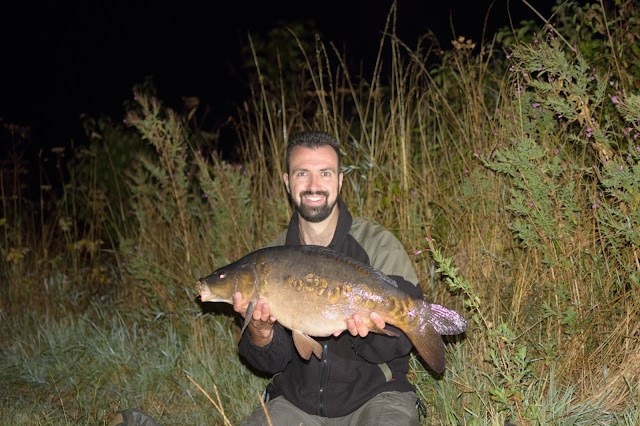 Not only did this enrich my experience tenfold but facilitated better angling and, with some patience employed, the fish started to show. Taking some knowledge from those who were willing to share it and trusting my eyes and instincts to fill the gaps my catches started small and eventually increased in size, though none gave me so much joy as the smallest of all enveloped in my net as it was the first to break the silence. One conversation on my last trip with an angler well acquainted with this water really opened my eyes. He seemed to think outside the box and I found it inspiring. It reminded me of the way I fished as a child whilst still learning and oblivious to convention. It awoke something in me just at the time when the rods were due to be hung back up for another extended period of abstainence. I have realised however that these periods of solitude accompanied only by nature are essential for the soul. To be absent for long would be too hard to handle.